Home Page › Forums › General Discussions on Pain › What could be the problem? This topic contains 8 replies, has 5 voices, and was last updated by Noki4 2 years, 1 month ago. I am a 29 year old female and throughout my life as a teenager I had slight back pain that never really bothered me. Only minor aches and pain which was nothing out of the normal. In 2012 I decided to visit a chiropractor and it went ok, there was minimal change so after 1 year of treatment I stopped going. I have always been an active person and always doing something. In September 2013 I began taking Fitness program in college. It was going well and I was feeling great. I even got a great placement in a physiotherapy place in April 2014. Due to working and doing projects out I was not in pain. The end of August I began working part time at the physio office while I was finishing my second year of my program on campus. I was so happy and everything was falling into place piece by piece and I felt like I was getting somewhere. Over the past 14 months my condition has gotten progressively worse. 1. On October 1st I woke up in the morning and I was amazed at the amount of pain I felt. My lower back and side into my hip was painful and my right leg was numb and my foot was paining. I had not lifted or done anything prior to waking up like that. 2. At the beginning the pain was constant but I was able to walk and do things without increased pain only tightness and light cramping after doing light activities. 3. Since July 2015 I have had increased pain in my lower back and hip. I have pain in my neck and also in my spine between my shoulder blades. My right arm is very weak and I can no longer do much with it like holding objects or lifting. I have constant pain in my spine and have numbing and burning sensation from my mid back into my mid chest in the front going under my right arm. 4. Since July 2015 I have also been losing memory and concentration. I cannot remember what I am asked of or even where places are I always knew. I at times forgot what word I need to say or even how to say it when I speak. My concentration is lacking as well. 5. I have been getting sharp pains in the right side of my head on and off throughout the day. The pain could last from 5 to 10 minutes then eases off. I am always getting dizzy. Not always from a seated or kneeling down position either. Happens any time and every day. 6. Since the beginning of December 2015 I have no longer been able to walk longer than 5 minutes at a time. When I go out to a mall or anywhere I either need the assistance of someone or a wheelchair to get around. Which is not good either way since I can’t sit for long periods either. I have become very weak in my right side all together. My leg and arm no longer function as they should. 7. I have now been getting large cyst like spots that look like large pimples all over my body but most of them are on the right side as well. They are very painful and they are black and hollow when they drain but bleed a lot. They do heal but remain painful and itchy after. I am told from testing I have 2 slightly bulging disks on the right side in my lower back and a laberal tear in my right hip but I am also told I should not be in this much pain. It is getting frustrating and more difficult to function. It is hard when a diagnoses cannot be made. Can someone help me? Can someone figure me out? Welcome Fortunate 1. It’s nice to meet you though I can think of better ways to meet. I’m sorry for your pain. From the sound of it you have multiple things at the very least a full plate. I can’t speak to your specific issues. Perhaps others here will recognize the patterns you describe. I can try to give you moral support and encouragement. It won’t make the pain go away. Hopefully you will come back enough to understand that you are not alone. My pain journey started when I was in my early 20’s. I’m in my early 60’s now. Hopefully next week your doc will discover that you just need to take xyz pill and everything will be fine. That wasn’t the case for me so the only option was to find a way to live and not let the pain drive me crazy. What works is different for every person just as your problems are different the mine. The common thread is the need for some way through. One of the ways I try to make sense of my pain is to use it to try and help people like you that may be just beginning their journey. There are others here that are also willing to help where they can. I am so sorry to read the journey you are on. Chronic pain conditions can be hard to diagnosis and that is beyond frustrating for the person who lives with the pain. It is hard to make a treatment plan to help ease the pain if one does not know what is causing the pain. I do hope your healthcare providers are searching for the answers you need. Living with pain is hard enough when you know what is wrong and nearly impossible when you do not have any answers. Don’t give up trying to find the answers, sometimes it takes multiple healthcare providers to sort out all the testing and symptoms to get to the answers. Please know that you are not alone…we as people living with pain may not have the answers you are seeking but we are here to offer support, companionship and friendship. We have live chats here on Monday-Wednesday-Friday at 11am ET and on Thursday night at 7:30pm ET. The chats are great conversation and lots of support. You really have a lot going on and have done a wonderful job of writing it all down to look at as a big picture. I hope you have shared that list with your doctor to consider. With so much going on in so many parts of your body it sounds like there are some nerve stimulation messages that are not getting through. What does your instinct tell you it is? Do you believe the problem is related to your cervical spine? thoracic spine? lumbar spine? internal organs? lack of activity? too much activity? I hope you have some relief soon and are able to envisage getting your body back to the level of April 2014. I have a lot of nerve issues and spine issues due to Hypermobility Ehlers Danlos Syndrome. So I am able to relate to the issues of pain, numbness, weakness and not being able to sit (or stand or walk or lay down) for long. I have skin issues and allergy issues but I have nothing like the cysts you describe. It is interesting that your cysts are on only one side of your body. 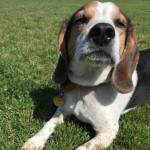 Maybe research symptoms of connective tissue disorders, mast cell disorders and CRPS. Maybe something you read there will point you in a direction to research further in your quest for answers and journey back to comfort. Well this road is still long and seems never ending. It’s just beyond frustrating for me now and feeling like I am getting nowhere with all the tests I’ve done. My doctor let me know he can no longer help me other than meds and more referrals to other specialists. He told me that my diagnosis is chronic muscle strain in lower back and chronic inflammation. I’m not sure how someone can have a muscle stain for over 2 years but I would be the one to have such a problem. I also researched and there is no sciatica (radiating into leg) pain that is tied to this problem so what else is happening?? Why am I suffering so much??? What is the really problem???? Still waiting , Waiting, Waiting….. It appears you had a long year. I don’t know if it helps to hear but I have the diagnosis of chronic muscle strain/spasms in my chest, rib and shoulder areas. They tell me it stems from the degenerative joint disease that I have in my neck and back. That is one of the long list of things that have gone wrong with my body. I have heard the same words, nothing that can be done other than manage the pain and symptoms so I can have somewhat of a normal life. I want to share with you something that has helped me so much. The Pain Community has started phone support conference calls. They have these calls 4 times a month. The calls are always on Tuesday and two of the calls start at 1pm ET and two of them start at 7pm ET. The time varies to give those unable to attend the day calls a chance to attend the evening calls and vice a versa. These calls are super. They are what they call “open calls”. That means that there is a host for the calls but she is there to help and offer support. She wants the folks that call in to do the talking, it is all about being able to be a part of the conversation. It is so helpful to be able to talk to others who are on the same journey that I am, the pain journey. We learn from each other, we support each other and we make new friends, some who are becoming life long friends. If you can join one of the calls please try it. The call in number is, Call in number: 712-775-7031 Passcode: 491-268-096 and press the # key. I hope to hear you on one of the calls. 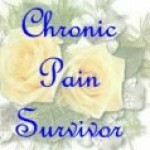 My pain journey started in the late 70’s. A lot of the docs I saw originally are retired or dead. hospitals have closed. Keep track of all your own records visit by visit. Before I dropped by I was self absorbed with my own pain problems but now I pray that all people suffering from mystery pain get some immediate comfort. I used to have arthritis pain in my back and thought it was severe pain. Then after an epidural treatment my bone pain mostly went away. However a few months later I starting getting stiffness in most of my muscles feeling like embalming fluid, glue or silicone had been pumped throughout my body. It is difficult to even move let alone function normally. I read the symptoms of fibromyalgia and I have every symptom but one so I plan to get tested and hope to find out and fix whatever is causing this severe pain. It is terrible that Congress created laws which require physicians to deny or delay people proper pain medication when it is obvious there are many people suffering from severe pain who need medications. Members of Congress, especially physicians should be ashamed for their inhumanity. But those same people also made torture legal, not only to foreigners but to their own constituents. Yet we continue to re-elect them. I am so sorry to read that you have not been fully diagnosed yet. It can be so frustrating trying to deal with the unknown. What medications may or may not help, what therapies may or may not help. I do hope that your healthcare providers are helpful in getting the diagnoses so you can begin to work on a pain toolbox that will carry the medications, therapies and such that you need to regain some function. In the meantime I would like to share that I have attended the support calls that they offer from The Pain Community. It is a low key, supportive, caring and helpful discussion. The next call is tomorrow, March 7th at 1pm ET, 12pm CT, 11am, MT and 10am PT. The calls are truly like you are talking to old friends. I highly recommend to them to all the folks I know who lives with chronic pain. I do hope you find some relief soon.